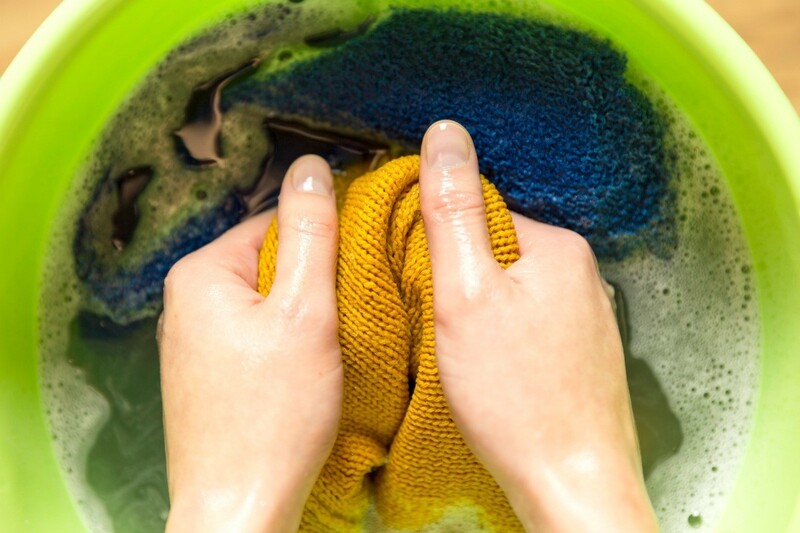 Sometimes the process of rubbing when removing a fabric stain can leave the fabric rough to the touch. There are a couple of things you might try using, with great care, depending on the fabric. This is a guide about removing a stain left fabric rough. I recently had a spaghetti sauce stain on my pants from Victoria's Secret and I tried getting it out with Dawn. It came out, but now from all the rubbing there's a rough texture. How do I get the fabric to lie down properly again? The fabric is now standing up and is bumpy. Is there any way to fix it? It was expensive and it's one of my favorite outfits. You can try laying it over something medium hard so it will lay very flat and smooth. Gently use a fresh sharp razor and go lightly over the spot - remember - you are removing fabric so only do as much as necessary or you will have a "thin" spot instead of a rough spot. Try running a new razor across it if you just can't stand the site of a rough spot but, as I said the fuss you remove is the fabric so go easy and see how it looks. If this does not work or you are afraid to try, then maybe you can think about covering the spot with an appropriate applique. There are many varieties, colors and designs so you might be able to find something that would look good on your pants. You may want to put more than one even as this could actually make your pants "one of a kind". Appliques can be found at most craft stores (Jo-Ann's, Michael's) or sewing departments of larger department stores as well as some Walmart or Target stores. Have you tried pressing with an iron? Put a damp cloth over the spot and gently press with an iron on low to medium heat. That might work, bot only if the stain is completely gone. Otherwise, it will set the stain in. Gently shave it with a razor.